Step off the beaten path and head to Lillico Beach Conservation Area and World Of Marbles. Venture out of the city with trips to Ulverstone (Leven Canyon & Preston Falls), Beauty Point (Seahorse World & Platypus House) and Devonport (Coles Beach, Mersey Bluff Lighthouse, & more). 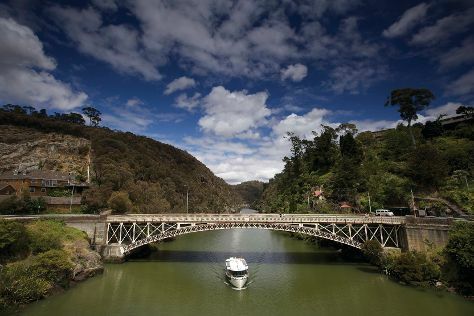 There's lots more to do: look for all kinds of wild species at Cataract Gorge Reserve, take in the views from Ross Bridge, learn about winemaking at Ghost Rock Tasmania, and admire the verdant scenery at The Tamar Valley. To find reviews, traveler tips, and other tourist information, refer to the Launceston day trip planning tool . Expect a daytime high around 25°C in December, and nighttime lows around 10°C. Finish up your sightseeing early on the 18th (Fri) so you can travel back home.